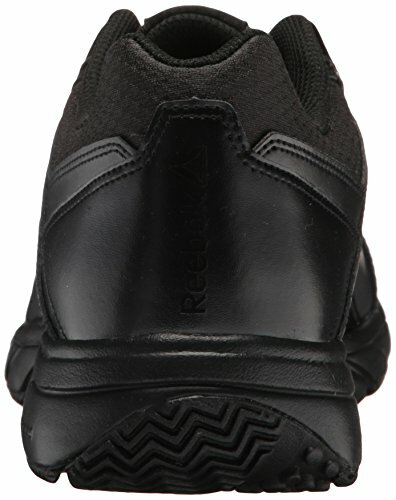 This work n cushion 3.0 men's shoe, designed by Reebok, is slip and oil resistant and has wide sizing. 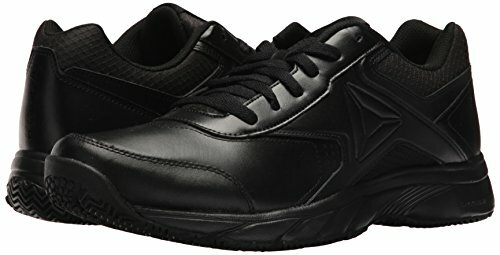 The mix of leather and synthetic upper is protective and durable. 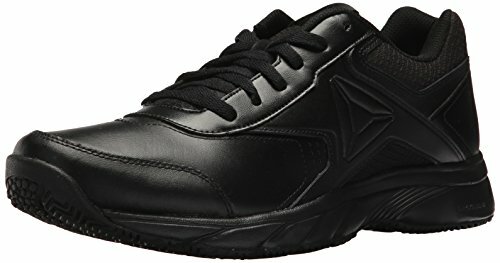 A mesh collar allows breathability, and the beveled heel enhances mens' walking stride. Eva foam and a memory tech sockliner provide a responsive feel and cushioning. 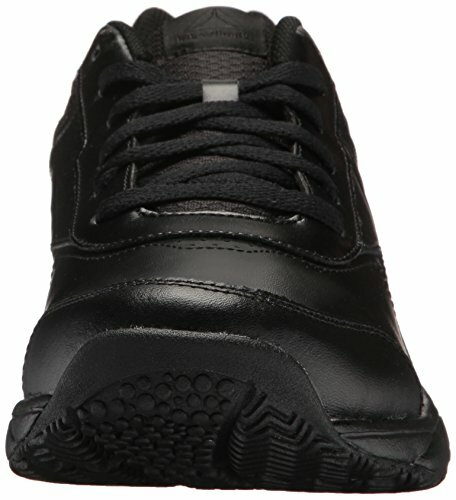 The rubber outsole increases grip for slippery environments.